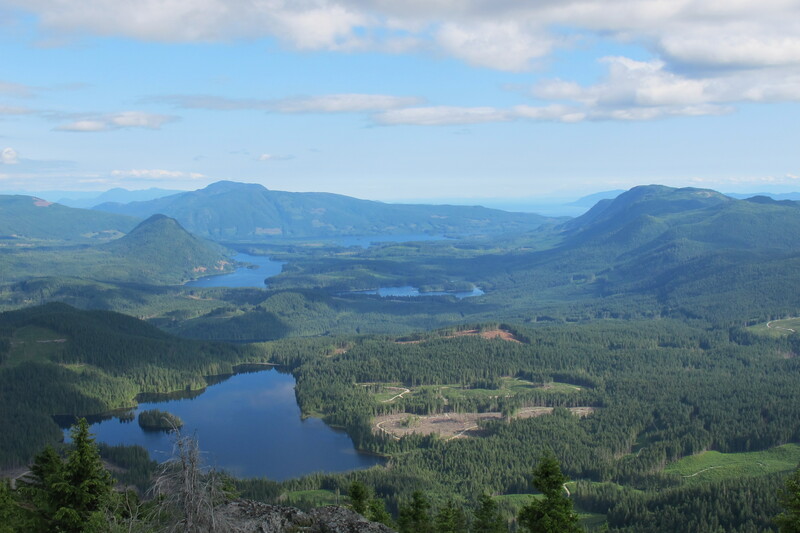 Connecting Sarah Point, near Lund, to the ferry terminal at Saltery Bay, the 180-kilometre Sunshine Coast Trail now ranks among the greatest hiking trails in the world, according to Explore Magazine’s Top-50 list. Not only is it more than twice the length of the West Coast Trail on Vancouver Island, it’s Canada’s longest hut-to-hut hiking trail, and it’s free! The trail’s mix of old growth forest, mountain peaks and sandy shoreline, attract thousands of visitors from around the world each year. Fifteen beautifully constructed huts en route provide overnight accommodation on a first-come, first-serve basis. Walz is a trailblazer, one of a handful of outdoor enthusiasts who in 1992 realized that accessible old growth on the Upper Sunshine Coast was fast disappearing. They formed the Powell River Parks and Wilderness Society (PRPAWS), a non-profit committed to setting aside protected areas on a trail sufficiently unique to lure locals and tourists alike. 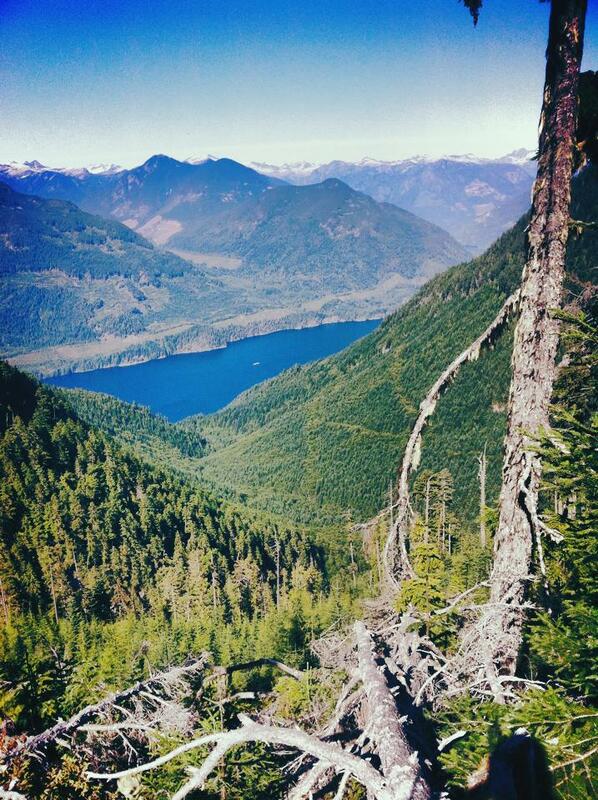 Eagle Walz in his element, hiking the Sunshine Coast Trail. Walz is a co-founder of the Powell River Parks and Wilderness Society, the non-profit behind the trail’s creation and upkeep. PRPAWS mobilized volunteer work parties and began connecting the bushwhacked paths, deactivated roads, and disused railway grades left behind by a century of logging. In some places that meant constructing bridges – some 120 feet long – to ford creeks and rivers. They found enduring allies in a group of bloody old men, otherwise known as the BOMB (Bloody Old Men’s Brigade) squad. Comprising mostly retirees, many of whom practiced their trades at Powell River’s paper mill, the BOMB squad helped build bridges and huts, and are still counted upon for help in the trail’s never-ending maintenance. The first time I interviewed Eagle for a story back in 2000, he was fending off criticism from a variety of sources over liability issues and the environmental concerns about sensitive wildlife areas. Walz and his cohorts had run into a host of jurisdictional challenges, too. Crown forest land, private land owned by logging companies, and Tla’amin Nation land are among the eight jurisdictions through which the trail crosses. That buffer can be from 10 to 30 metres, sometimes more. Occasionally, the trail must be relocated in places. Overall, says Eagle, compromise and varying levels of protection ensure the trail’s viability. Perhaps more challenging to PRPAWS is pressure on the trail from non-hikers. In the meantime, trail maintenance keeps Eagle busier than ever. Ten years retired as a teacher, Eagle says he has time to enjoy the trail, but it’s usually when he’s part of a work party. The day I call him, he’s about to leave on just such a mission – a five-night trip to Confederation Lake, a steep section of the trail in Inland Lake Park, north of Powell River. 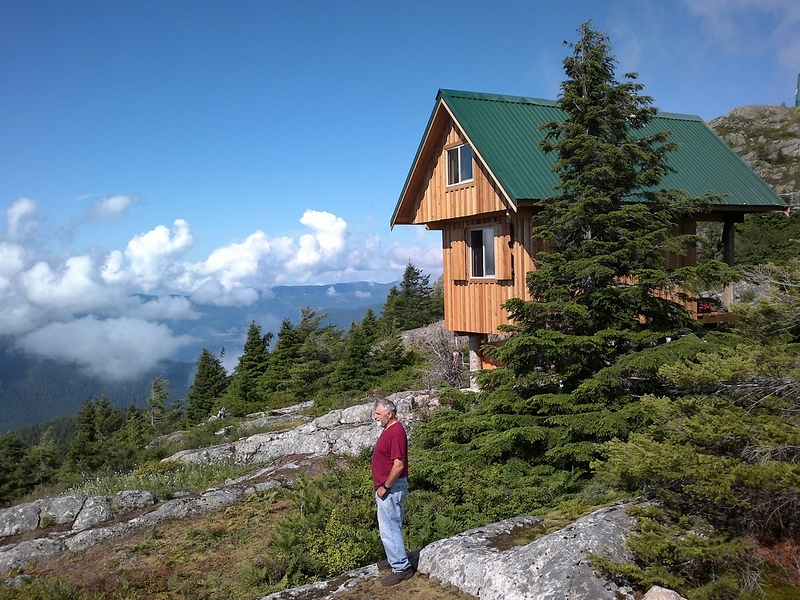 Eagle Walz takes in the view from the hut atop Tin Hat Mountain. It’s a favourite spot, he says, before adding: “I think usually where I’m working, I like that part the best.” Eagle’s other cherished locations include Tin Hat Mountain with its 360-degree views of more than two-dozen lakes; and Mount Troubridge, popular for its magnificent stands of Douglas fir and yellow-cedar old growth. 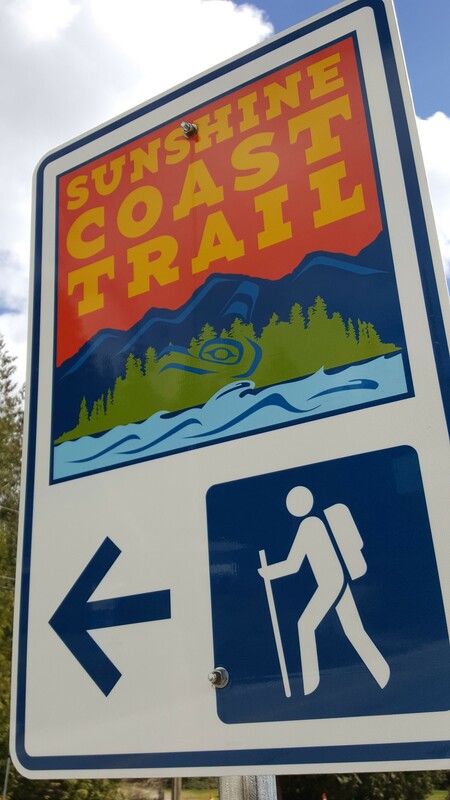 Visit http://sunshinecoast-trail.com/ for everything you need to know about planning a trip, including the definitive guide to the trail, written by – who else? – Eagle Walz. Yellow sections on this Google Earth map indicate about 10 kilometres of work needed to complete a trail connecting Sechelt with Squamish. The map looks straightforward at first. 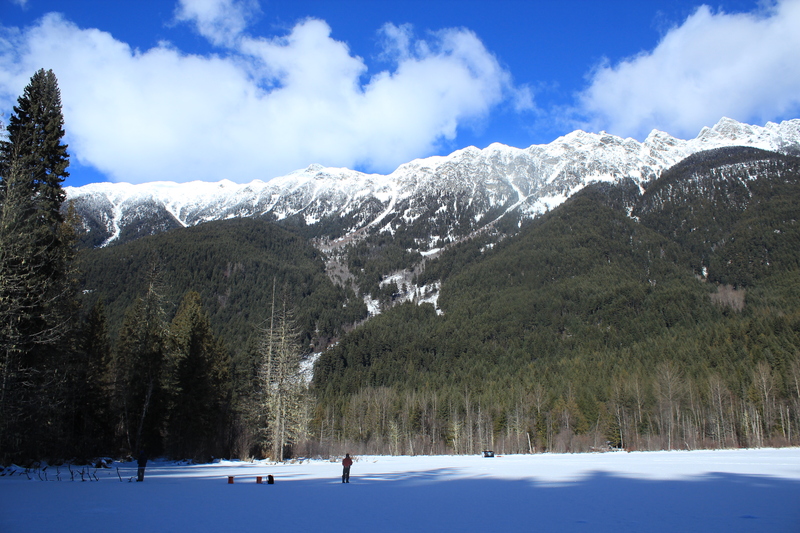 As the crow flies, little more than 50 kilometres separate Sechelt and Squamish. Then you notice contour lines, crammed together like intense low-pressure systems, numerous splashes of white, indicating icy peaks, and deep blue streaks showing alpine lakes and ocean inlets. In between are green valleys that never seem to quite connect. Old logging roads, new hydroelectric projects, powerlines and pipelines present an extra layer of complexity revealed by Google Earth. A cursory Internet search turns up more than 100 years of failed attempts to build a road system between the Sunshine Coast and “the mainland”. So when Geoff Breckner tells me he’s about 10 kilometres away from completing a 75-kilometre trail connector, I’m interested. Breckner is recovering from major back surgery. When his doctor advised him to exercise he began hiking into the backcountry near his home in Squamish. The 53-year-old estimates he spent 200 hours during the last two summers working on the Squamish end of the trail. A self-described “mountainbiking nut,” and “bush rat,” Breckner grew up in Deep Cove when the sport was still a novelty. He opened Pemberton’s first bike store, High Line Cycles, in 1994. A trail connecting Squamish with the Sunshine Coast makes a lot of sense, he says. Geoff Breckner’s tent at the south side of Pokosha Pass, near Mount Jimmy Jimmy. Visit Breckner’s Facebook site ‘Squamish to Sechelt Trail’ and you’ll see a Google Earth image of the proposed route. From Upper Squamish and the Ashlu River Road, the route first heads north over existing trail through 4,000-foot Pokosha Pass before heading south, then due west following Clowhom Lake to Salmon Inlet, skirting the Tetrahedron Provincial Park, and on towards Sechelt via the Coast Gravity Bike Park. About 55 kilometres of double track roads, and 20 kilometres of single track trails make up the route, says Breckner. The 10 kilometres still to be cleared comprise three sections of one kilometer, four kilometres and five kilometres. Breckner has received numerous offers of help from this side of the divide. Doug Feniak of Tillicum Bay is among those pledging assistance. A self-described mountainbiking nut, Geoff Breckner rarely goes anywhere without his ride. 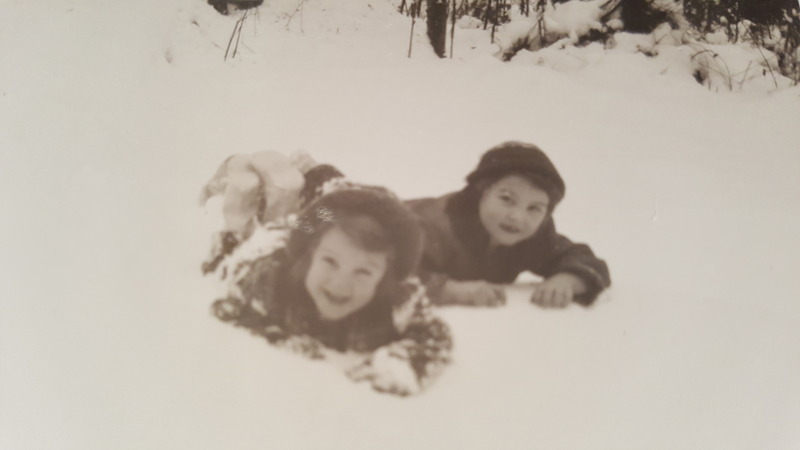 Trails are in the Feniak family’s blood. Wife Jessica Huntington and son Linden both build trails, the latter professionally. Daughter, Holly, was 2012 downhill mountainbike Junior World Champion. Doug says he expects to have a group working on this end of the trail in the fall. 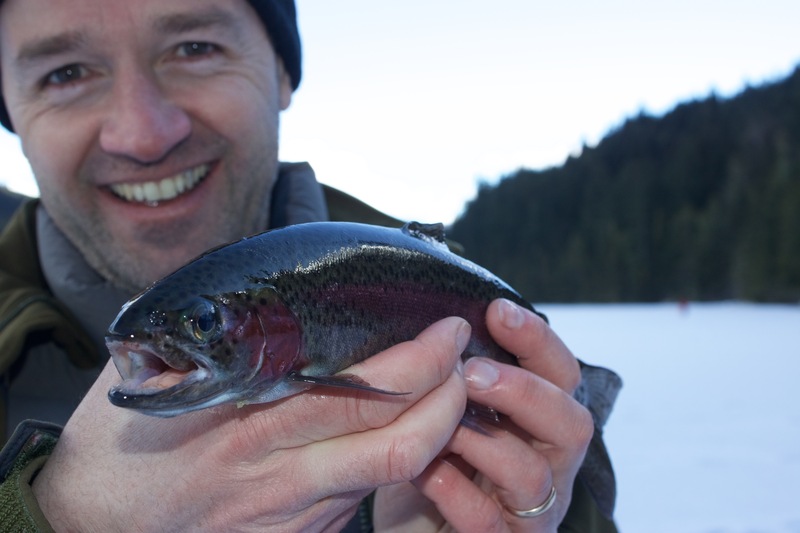 “It would certainly be good for tourism here and I could see the B.C. Bike Race using it,” says Feniak. 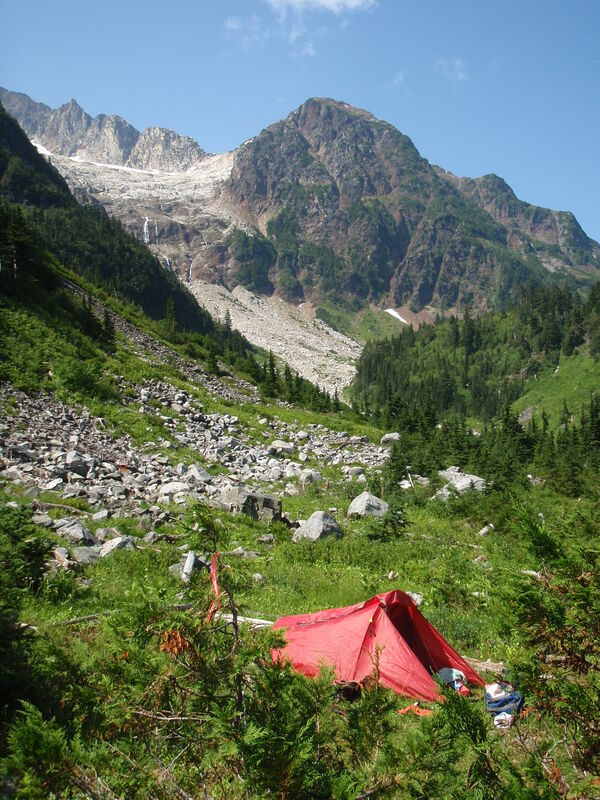 Long-time local trailbuilder, Richard Culbert, says a trail to Squamish is “common sense”. Culbert built the trail to the summit of Mt. Elphinstone, opening it on his 70th birthday. 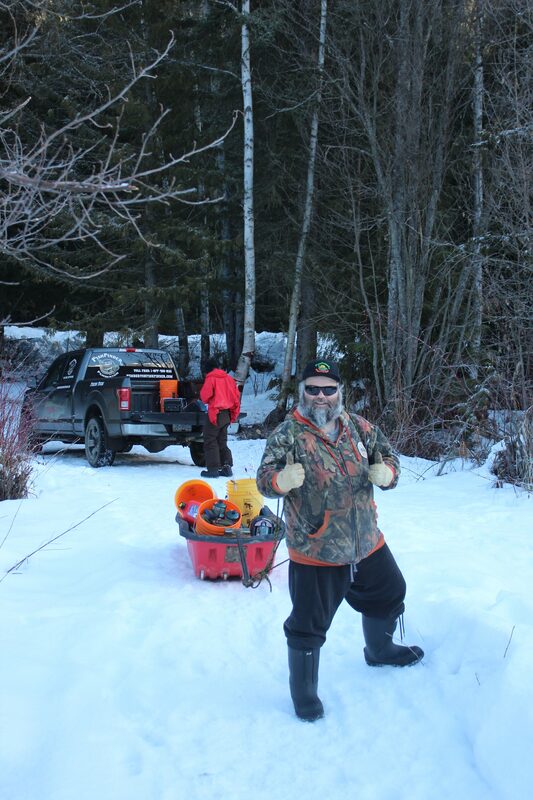 Now at 75, he’s busy clearing a trail up 4,700-foot Polytope Peak, which connects with Rainy River Road and Port Mellon due south. He believes that a trail from Squamish stands a better chance of completion if it veers south to Port Mellon, rather than to Sechelt. Salmon Inlet from the top of Gray Creek Forest Service Road, looking north across Thornhill towards Clowhom valley. It’s about 60km from here to upper Squamish. Warren Hansen concurs. 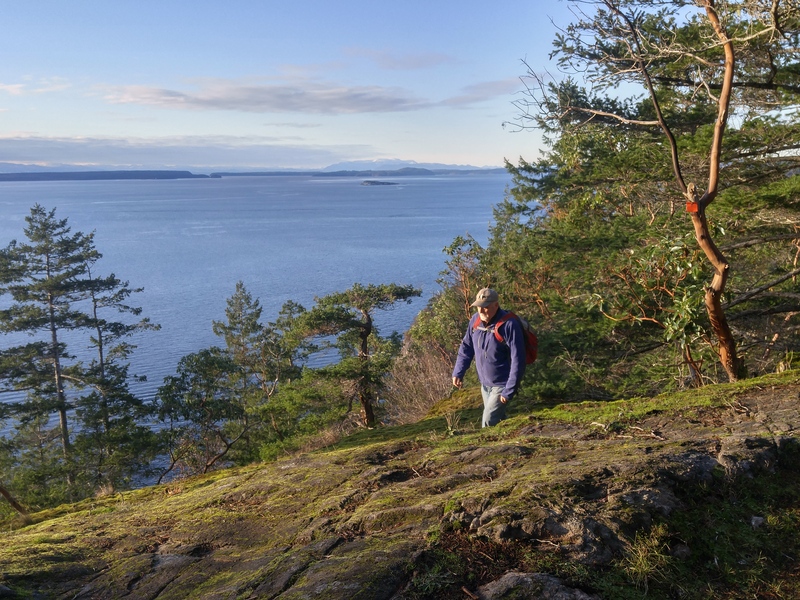 “That gap after Salmon Inlet is some of the most rugged terrain I’ve ever walked in,” says Hansen, forester/area manager for Chartwell Consultants and an avid trailbuilder. “A lot of that area was logged in the 60s and 70s, so we’re talking about logging roads half a century old – many of which have been heavily deactivated and are covered in alder. Hansen identifies with Breckner on one level. Perhaps the person most excited about a possible connection is Bjorn Enga. The Granthams Landing-based filmmaker is the founder of Kranked, an online store for electric-assisted mountainbikes. They may upset purists, but bikes capable of climbing mountains in minutes, as opposed to hours, are catching on, says Enga. “I’ve been riding on the Coast since 2000, and it’s an amazing coastline,” he says. “Suddenly, I’m thinking how much more I can see up there riding an e-bike. Imagine how phenomenal it would be to offer overnight tours with a fully charged battery for the next day. Enga is helping Breckner with route planning and believes that trail completion is a matter of when, not if. In the meantime, some adventurers will continue to blaze their own trails. It seems as though everyone on the Sunshine Coast knows “a guy” who knows a route to Squamish. But their identity can be as elusive as the route. 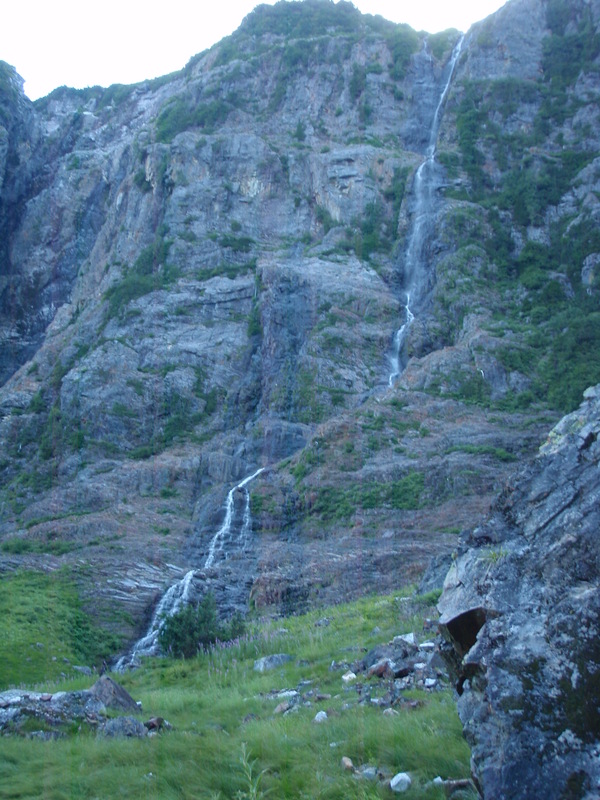 More falls in the backcountry between Squamish and the Sunshine Coast. A different hazard awaited Denis Rogers of Sechelt, and fellow Coasters Mark Guignard and Al Jenkins, who hiked to Squamish in 2004 after being dropped by boat at the head of Narrows Inlet. “It took us five days,” says Rogers, whose group followed a route from the head of Tzoonie Valley to a 4,800-foot pass, and then down to Falk Creek and a logging road leading to the Ashlu River and Squamish beyond. “The third day was an interesting one,” recalls Rogers. “I fell in a lake and broke my watch, and Mark, the only one of us who didn’t bring bear spray, had an encounter with a black bear. Mark was about 20 yards ahead of us, picking his way through the boulders, when we shouted to him that a bear was taking an interest in him. Some hazards you won’t find on any map. To contact Geoff Breckner, email capnbreak@yahoo.ca or visit his Facebook site, Squamish to Sechelt Trail. It’s not Roman Holiday, but Green Lake, Whistler, is a good substitute for anyone on a scooter. 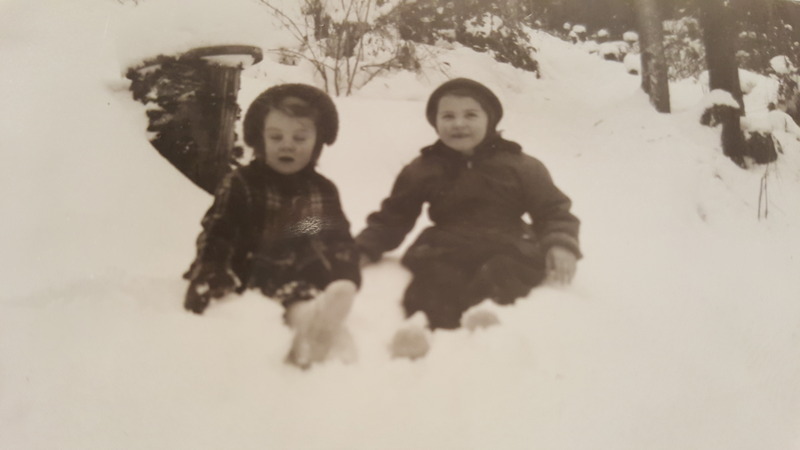 When brothers Adam and David Vavrik travelled from their native Czech Republic to Whistler on work visas they quickly noticed something about the mountain resort. Most adventure here requires some kind of physical effort. Five years after the Olympics, Whistler still feels like an Olympic village whatever the season. Aside from the hours between midnight and 4 a.m., people here ooze health. A culture based on outdoor pursuits will do that to visitors and residents. But suppose your shredding days are behind you, yet you still crave a little speed? 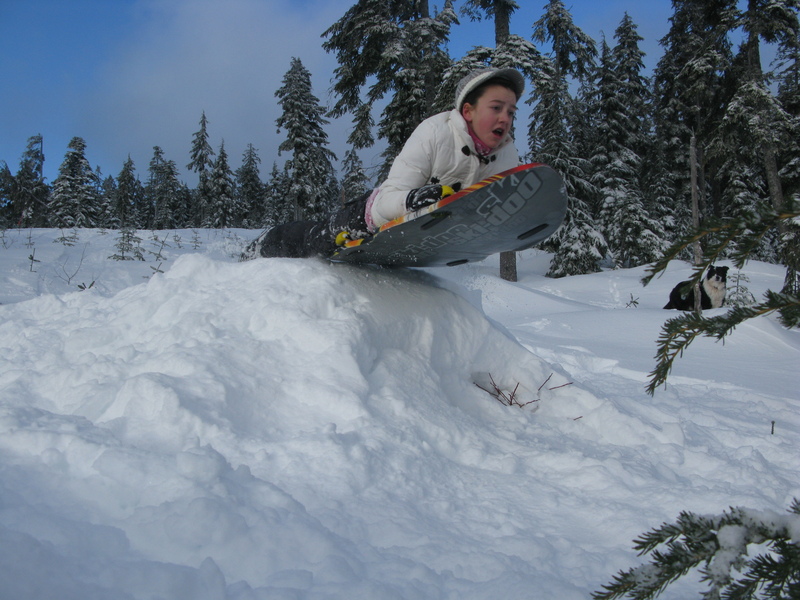 Or, like me, you can no longer keep up with your teenagers on the hill, but still want some excitement off-piste. Despite being in their 20s and heavily into snowboards and skateboarding, the Vavrik brothers asked themselves the same question. 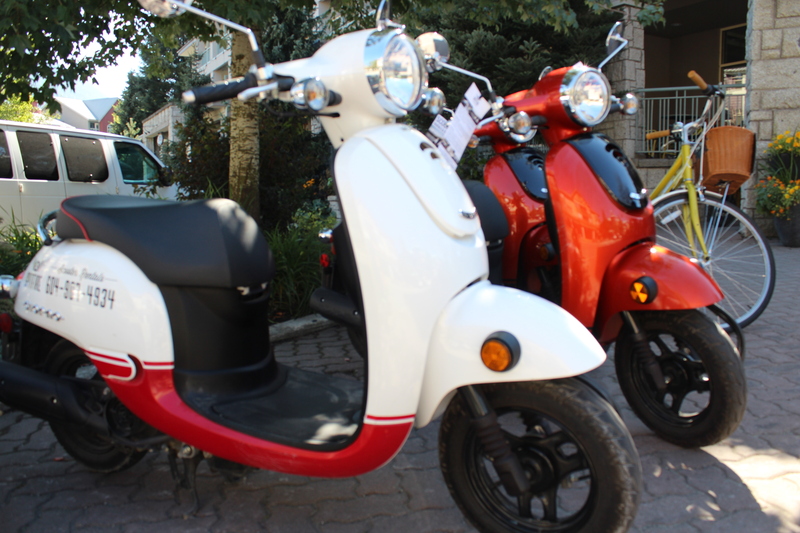 The answer was Spitfire Scooters, a fleet of 2014 Yamaha BWs and 2013 Honda Giornos, available to rent from the Vavriks’ base at the Summit Lodge Boutique Hotel on Main Street. 49cc Honda Giornos are sleek, elegant, and run on about $6 of gas a day. In the interests of full disclosure, I’d come for the second annual Whistler Village Beer Festival – four days of brewmaster dinners, cask showdowns, free tastings, obscenely large hangover-themed breakfasts, (thank-you Dubh Linn Gate) and a glorious Saturday afternoon festival in Whistler Olympic Plaza. Getting around to more than 150 beers from 50 breweries had seemed so exciting. But that was on Thursday. By Sunday morning I’d fallen out of love with beer, if only for a day. The Summit Lodge offers Norco City Glide bikes for guests to borrow free. But with late-summer temperatures still in the high 20s, we were looking for wind in our hair, not sweat. So for the first time in our 40-something lives, my wife Leah and I rented scooters. Leah’s always had this thing about Audrey Hepburn in Roman Holiday, particularly the scene where she rides a Vespa with Gregory Peck through Rome. So like Audrey, she wore a dress and sunglasses. Unlike Gregory, I wore shorts and T-shirt. With two hours to spare and David Vavrik as our guide, Whistler beyond the village awaited us. After a brief orientation, we test-drove the 49cc Honda Giornos up and down Main Street. Storage under the seats allowed plenty of room for our backpacks, and we wouldn’t be stopping for gas any time soon. You could drive this model all day for about $6, according to David. 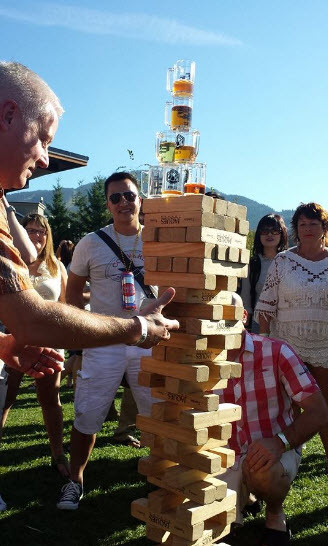 Nothing good can come from Beer Jenga. They’re elegant, too, with sleek curves and a cherry-red paintjob. The helmets by contrast, are decidedly un-Audrey Hepburn, but mandatory: Pity – but probably for the best. Soon we were buzzing along Blackcomb Way and up the ever-so winding Glacier Drive, past the tube park and onto the Whistler Sliding Centre. The place was deserted and we spent about 10 minutes walking the track and reminiscing about the 2010 Olympics and Jon Montgomery’s skeleton gold. Skeleton experience programs offer the public a chance to go headfirst, 100 km/h, David informed us. Not today, I thought. Riding a scooter at 50 km/h was more our style. Riding the Sea-to-Sky Highway to our next stop, Green Lake lookout, allowed us to open up the throttle and push close to the bike’s top speed of 60 km/h. We stopped to admire the view and right on cue, a float plane took off from across the lake and into the cloudless blue sky. I was glad to be off the highway and onto Alta Lake Road where traffic was scarcer. We passed Rainbow Park on Alta Lake and then on past Nita Lake and Alpha Lake, stopping when we felt the urge to take photos. The advantage of a scooter became more obvious with every kilometer clocked. 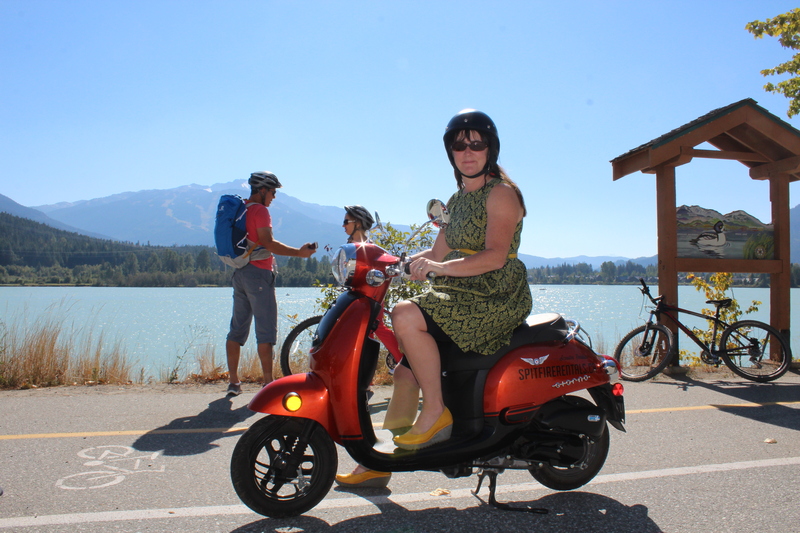 For an afternoon or day of sightseeing beyond the village, this ride offers great freedom to see so much more of Whistler and its parks and lakes. The oysters disappeared moments after this photo at Bearfoot Bistro, Whistler. The highway with its fast-moving traffic and sketchy hard shoulder can be a little nerve-racking when you’re on a scooter. On the ride back from Alpha Lake through Whistler Creekside I realized my mid-life crisis – when it inevitably hits – will not feature a Harley Davidson. But I’d rent a scooter again in a heartbeat. Back in the village, energized by equal parts adrenaline and fresh air, we made like Audrey and Greg and went for cocktails on the patio at the Bearfoot Bistro. 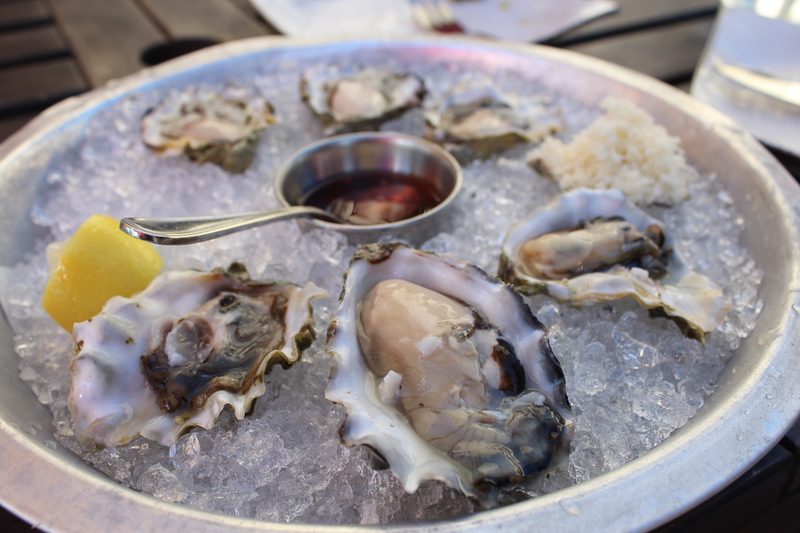 A half dozen oysters led to a dozen more, accompanied by Pimm’s Royale for Audrey and a Whistler Grapefruit Ale for Greg. Turned out Greg wasn’t through with beer after all. Starting May 1, Spitfire rents scooters for $25 an hour; or $120 for 24 hours. Guided tours are $120 (single), $100 (two or three riders), or $80 for four or more riders. 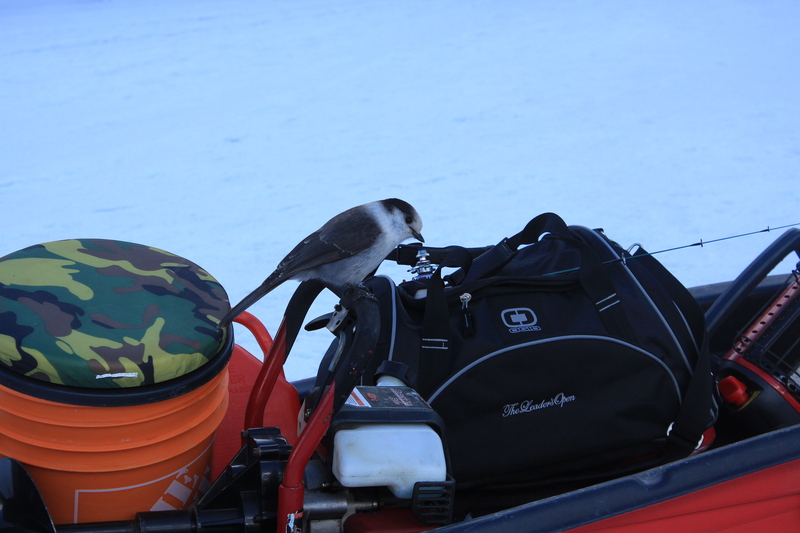 Visit spitfirerentals.ca or call 604 938-3686. Besides being a great, centrally located place to stay, Summit Lodge offers some handy, complimentary extras, such as snowshoes in the winter; bikes in the summer. There’s hot chocolate happy hour, plus smores and roast chestnuts by the pool. The free beer tasting in the lobby during the beer festival was most welcome, too! Visit summitlodge.com or call 1 888-913-8811. This year’s Whistler Village Beer Festival will be from Sept. 17 to 20. Bookmark wvbf.ca for updates. A quiet meander down the River of Golden Dreams, I’d promised my wife. After 36 hours of skiing, cycling, trail running, stand-up paddle boarding, dancing, eating and drinking, this would be a relaxing canoe cruise in the sunshine, a chance to mellow ourselves from weekend warriors to weekend wanderers. We’d come for Whistler’s Great Outdoors Festival, aka GO Fest. Held on the Victoria Day long weekend, GO Fest was the chance to cram an entire Whistler summer of activities into four days. A packed schedule had offered everything from fly-fishing to disc golf, river rafting to yoga, and much in between that involved wearing a silly costume. By Sunday, my legs were aching from Saturday-night’s AlpenGlow Fun Run, a six-kilometre jog around Lost Lake, while wearing glow sticks. Or they might have ached from skiing Blackcomb’s Seventh Heaven all day; or from jumping up and down to The Sheepdogs during Friday night’s concert in the village. Cycling Whistler’s Valley Trail on Sunday morning, we stopped at Lakeside Park where we met Eric White of Backroads Whistler. When he told us about paddling the River of Golden Dreams, the timing seemed perfect: No pressure to perform; tranquility now. Backroads Whistler even picks you up at the end of the two- to three-hour paddle. To get our sea legs we warmed up with a stand-up paddle boarding session. Stand-up paddle boarding, or SUP, has taken off in recent years and it’s easy to see why. 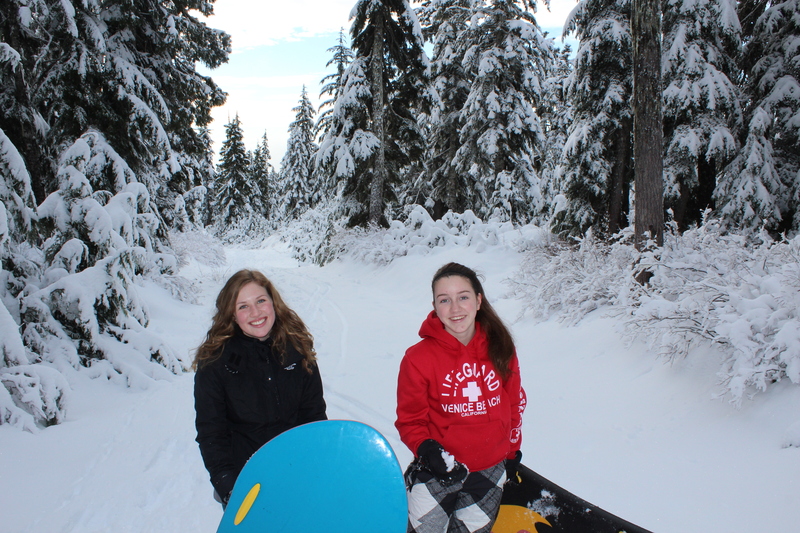 Not unlike snowshoeing, SUP offers a short learning curve and gets you closer to the elements. It can be as relaxing or as strenuous as you want. Eric gave us a quick tutorial on the dock and we were off. 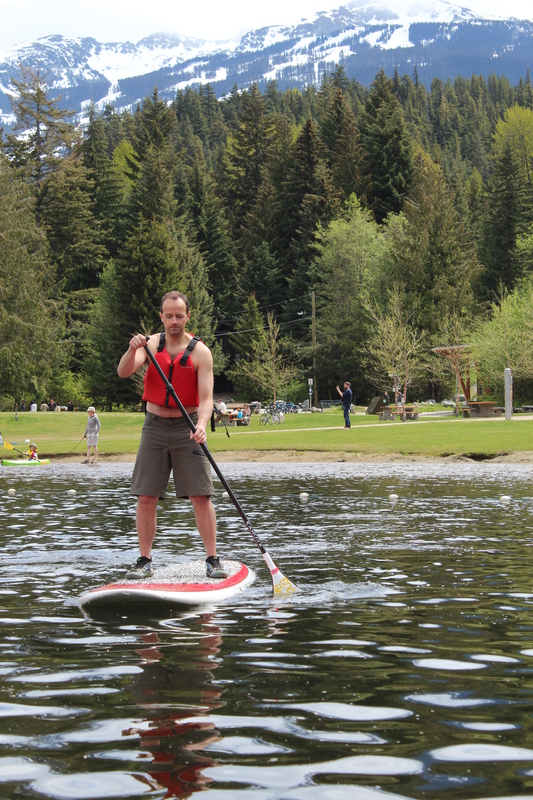 Pasty Englishman attempts balance feat on stand-up paddle board! 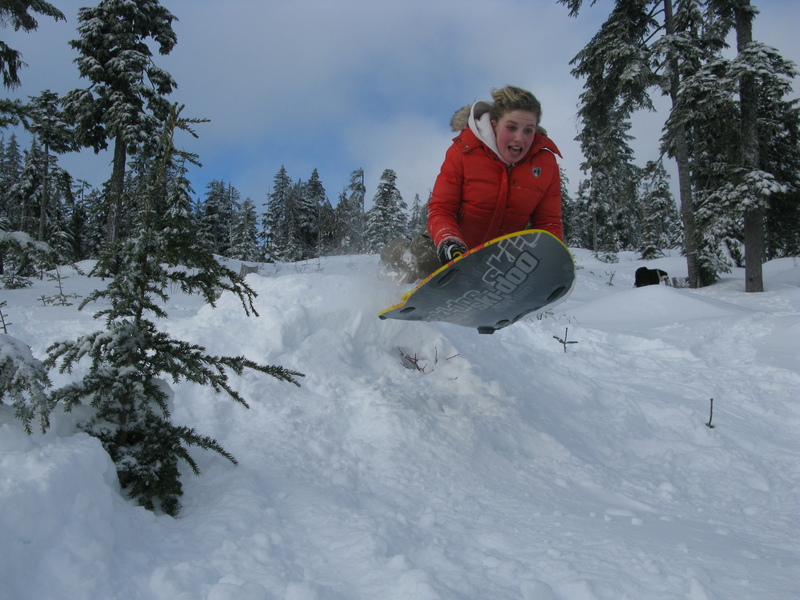 The Kahuna boards designed by Whistler local, Steve Legge, were exceptionally stable, despite my initial fears of falling. (The lake ice broke just a month before!) It only took a couple of lengths between Lakeside’s docks for it to begin to feel like a core workout. Now acclimatized to the occasional gusts picking up on Alta Lake, we paddled to shore for a new vessel. Backroads offers kayaks and double kayaks but we opted for a two-person canoe. 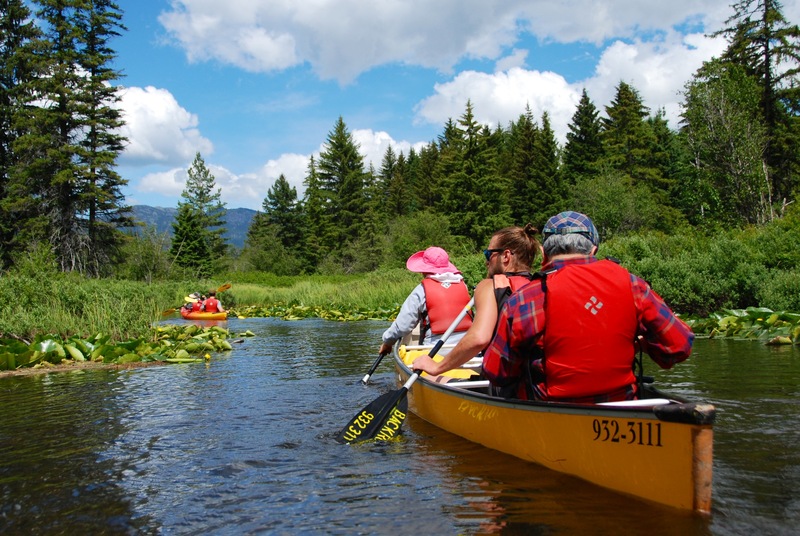 The canoe requires smooth communication between paddlers to navigate the notoriously tight corners of the River of Golden Dreams. It’s also known as “The Divorce Boat,” according to Eric. “We’ve only been married 23 years, what could possibly go wrong?” I asked my wife. The River of Golden Dreams connects Alta Lake with Green Lake about three kilometres north. Because of its stubborn refusal to follow a straight line, the river’s full length is closer to five kilometres. 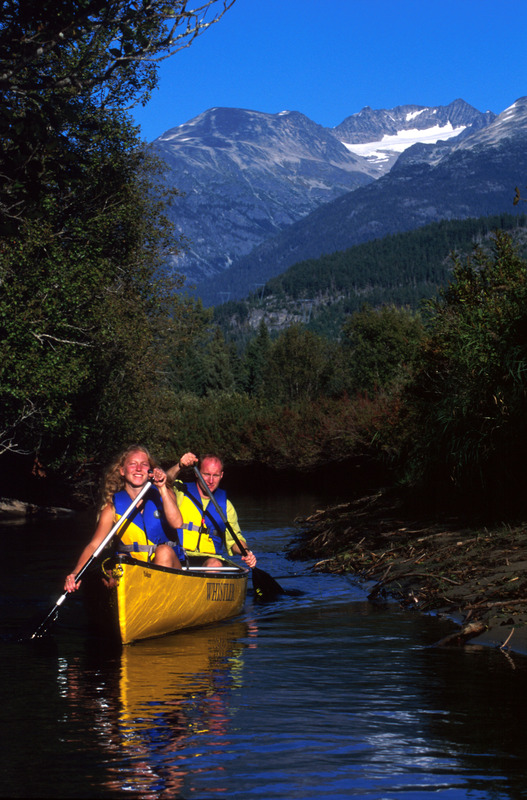 In places, the river is barely wider than a canoe and portaging is sometimes necessary, depending on water levels, which can fluctuate rapidly depending on rain and snow melt. After a quick paddling tutorial, we donned our lifejackets and set sail. Within 15 minutes we’d crossed Alta Lake and were nearing the mouth of the river. That’s when I noticed people waving at us from a bridge. Seconds later we heard a siren – the kind that’s normally accompanied by a loud voice shouting “release the hounds”. “Why are those people waving at us?” asked my wife from the bow. The answer appeared over our left shoulders: canoeists, two to a boat and wearing helmets and numbered pinnies, launching from a nearby beach and paddling straight for us. Unsure whether the people on the bridge were waving us in or away, we opted to paddle for the river, full steam ahead. At the bridge we made two discoveries. The first was that we’d need to portage a few yards because we’d arrived at a weir. The second was that we’d unwittingly joined a pivotal leg in GO Fest’s Great Snow-Earth-Water Race – a grueling six-stage competition involving skiing, biking, running and canoeing. It occurred to me that on a narrow, winding river with few passing lanes and a head start, we could actually try and win the race. Then my wife reminded me that this was supposed to be a cruise. She also said something about ethics. So for 20 minutes we perched at a picnic table and watched contestants portage their canoes around the weir and back into the river, cheered on by locals. When everyone had passed us, we re-launched and quickly learned to adapt to the river’s ever-changing moods: turn too tightly and fast eddies would pull us into the reeds; lose concentration and we’d find ourselves turning sideways to the current. But the lush wetlands and snowy peaks beyond the banks made up for the occasional brushes with low branches. Better yet, during the course of our 90-minute paddle we became minor celebrities to those who had turned out to cheer on the racers. Everyone loves plucky losers and despite not wearing race pinnies, we were assumed by many to be the last-place finishers in the canoe stage of the Great Snow-Earth-Water Race. I still think we probably could have won it! The River of Golden of Golden Dreams (Backroads Whistler – riverofgoldendreams.com or 604 932-3111) is just one of a multitude of adventures awaiting visitors to Whistler this summer. Here are five more. 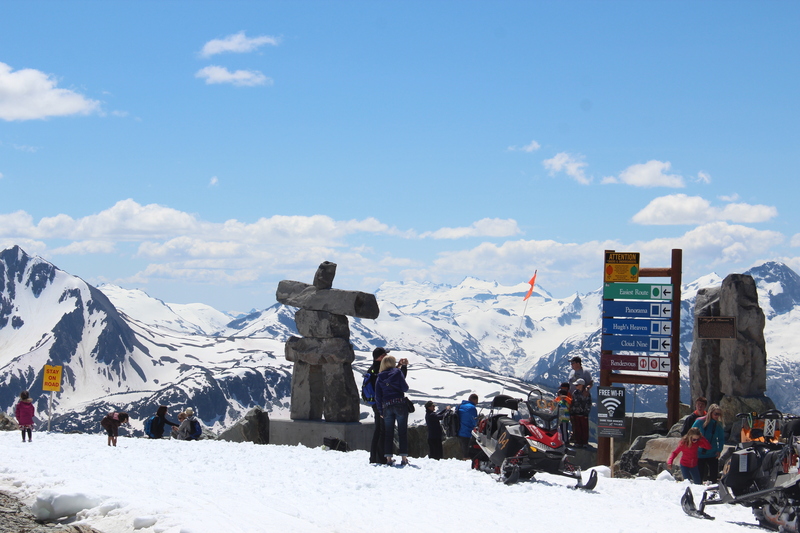 Several runs atop Blackcomb and the Horstman Glacier are open for skiing and boarding until late July. 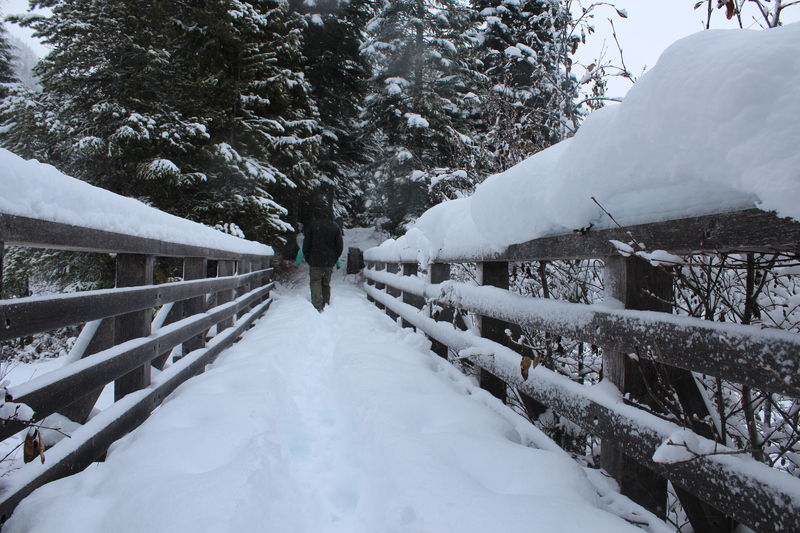 Hit the Valley Trail: For a better perspective on Whistler’s surroundings get out of the village and onto the Whistler Valley Trail. More than 40 kilometres of paved trail and boardwalks connect Whistler’s lakes, parks and neighbourhoods. The trail is suitable for bikes, rollerbladers, joggers, walkers and well-behaved pets. Whistler.com offers more information on making the most of the Valley Trail, including a blog on the trail’s “six perfect spots”. Shred the Park: Valley Trail offers a benign cycling experience and cross-country cyclists will find more than 500 kilometres miles of single track around Whistler. 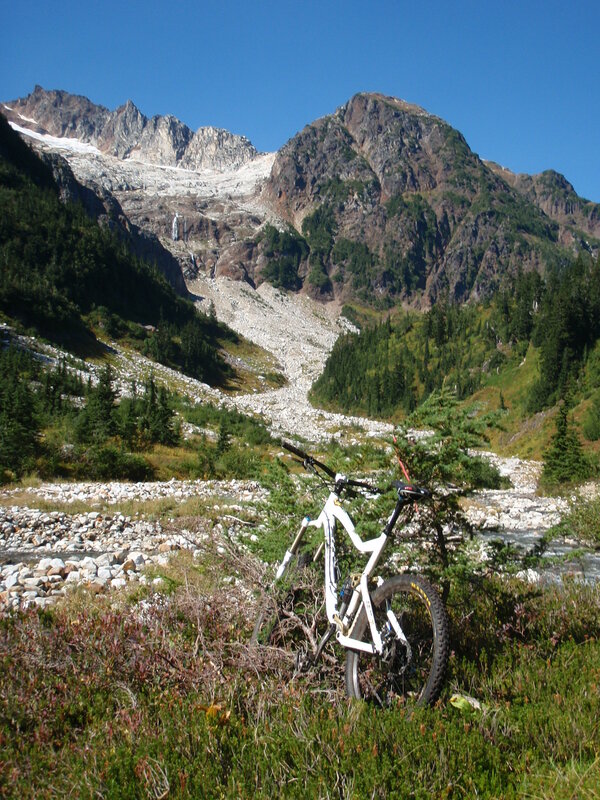 The Whistler Bike Park though condenses the best of Whistler’s downhill for all levels of mountain biker. Ride the lift up and take your pick of alpine view trails, banked cruisers through the forest, tight, winding single track and – for the experts – steep rock faces. Whistler Bike Park offers numerous ticket deals, including some with rentals, and accommodation packages. More information is at whistlerblackcomb.com. 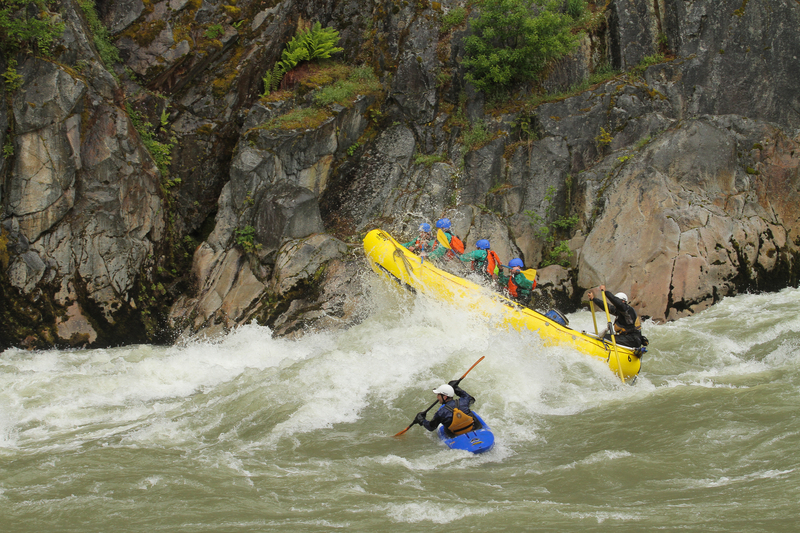 Ride the river(s): If paddling the River of Golden Dreams is too tame for you, consider whitewater rafting either of the Green, Lower Cheakamus, Elaho or Squamish rivers. A range of half-day and full-day tours are available from Whistler, (whistler.com/rafting) or from the Sunwolf Centre in Brackendale near Squamish (sunwolf.net/rafting). Fly by the seat of your pants! 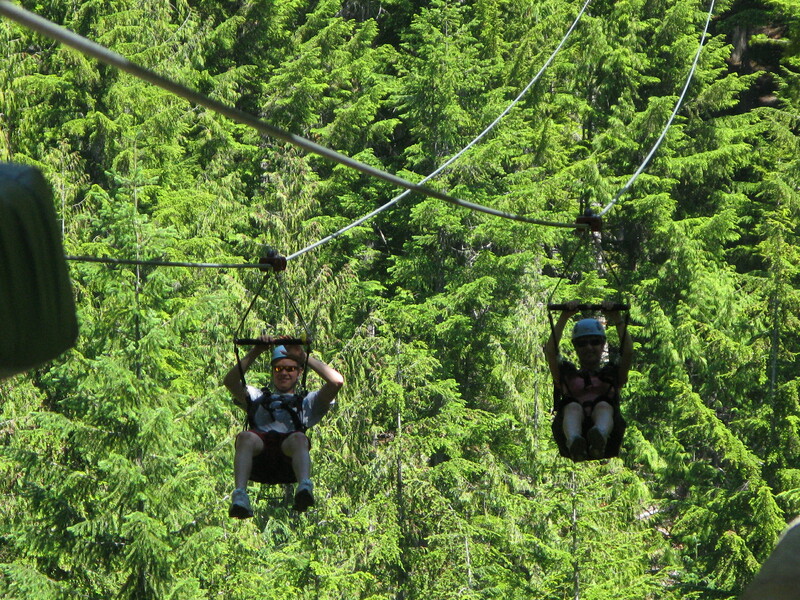 The most exciting thing I’ve ever done in Whistler is ziplining at Cougar Mountain, just north of Whistler. Superfly Ziplines (superflyziplines.com) runs Canada’s longest, fastest, highest ziplines where speeds of more than 100 km/h are made possible by runs well over a kilometer long, 200 metres off the ground. Strap into a paragliding-style harness, attach to half an inch of galvanized steel with a trolley rig and prepare to fly! 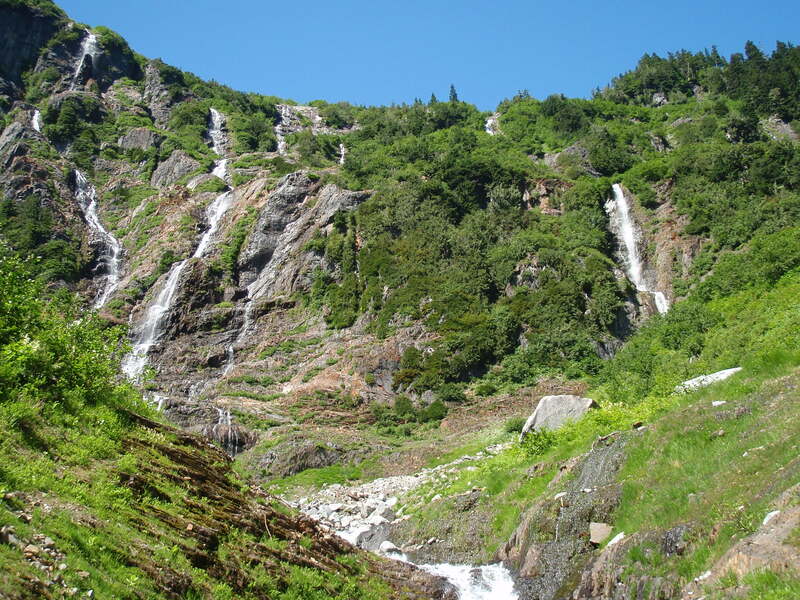 Ziptrek Ecotours (ziptrek.com) combines similar thrills above Fitzsimmons Creek with a strong environmental ethos. Ziplining at Cougar Mountain, just north of Whistler. 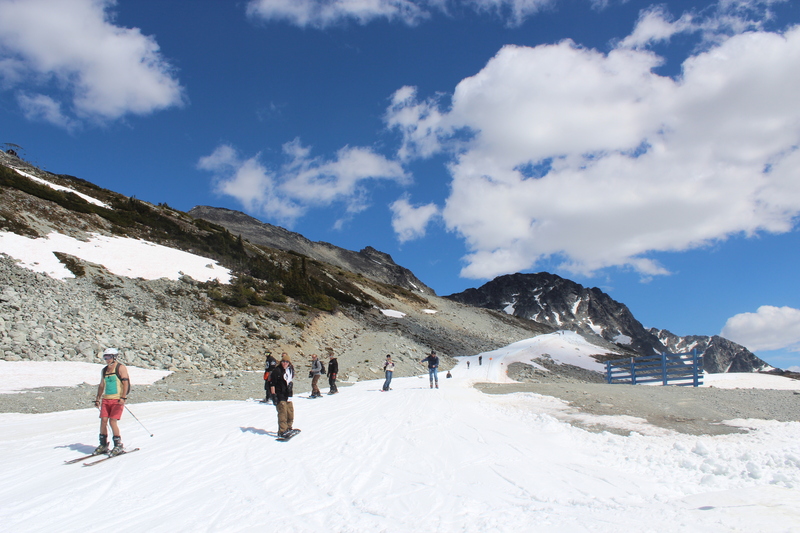 Ski in a T-shirt: For all the great winter skiing at Whistler, the novelty of descending Horstman Glacier while wearing a T-shirt in July is hard to beat. Until late July, two or three runs, plus the terrain park remain open atop Blackcomb where lunch on the deck of the Horstman Hut is a must. It’s not easy admitting your bad habits, but Sean Parrinder wants to know. Sean is my personal trainer and confidante for the day at the Fairmont Chateau Whistler. He bears a passing resemblance to Justin Timberlake and I like that he doesn’t appear to be judging me. Sean applies his kinesiology degree and love of sport to helping kids and adults achieve fitness goals. At this time of year, his services are in demand as part of the Fairmont’s Breaking Bad Habits Whistler Getaway, a new year’s kickstart for that age-old resolution of getting fit. Among other treats, the package includes an ‘energizer breakfast’ of strawberry and banana smoothie with dates, bee pollen, honey and orange juice, along with a toasted bagel with cream cheese. 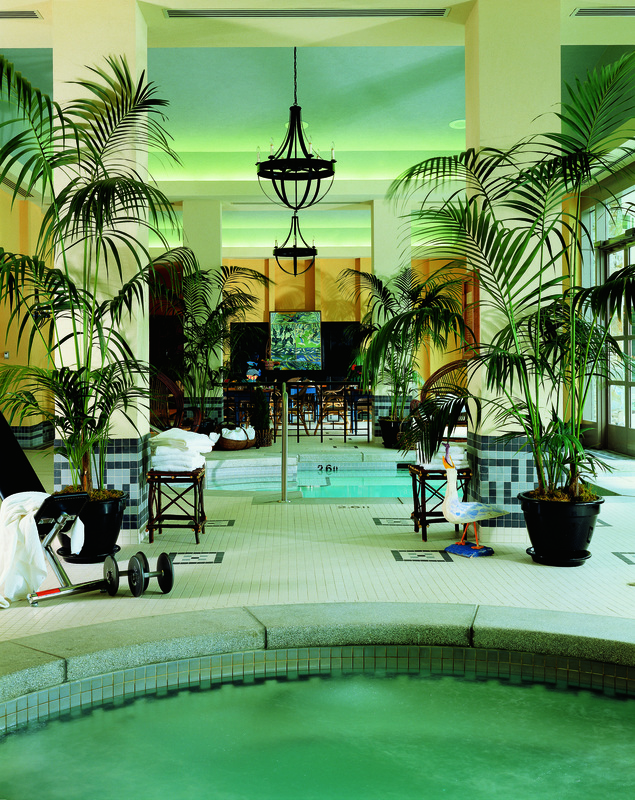 And there’s a Detox Body Wrap at the Vida Spa. But now is the hard part. We’re in the discovery process of Sean asking me about my fitness goals and the habits I aim to break. I tell him that I need process, not procrastination; method, not mediocrity. Sean understands. He tells me to leave cardio till last and begin with tougher compound exercises, designed to work out multiple major muscle groups. We’ll focus on a lower range of repetitions – from five to eight – but increase the weight each time. Finally, we’ll monitor our rest periods and focus on breathing. I warm up on the rowing machine and try to ignore Matt Damon staring at me from the cover of Men’s Fitness. We move on to the seated leg press – a machine I actually know how to use. You just sit down with your knees to your chest and straighten your legs by pushing away a weighted plate. The most I’ve ever pressed is 140 pounds, yet Sean starts me on eight reps of 180, eventually rising to eight at 200. During the course of an hour, through lunges, squats, back extensions, and bar curls, Sean pushes me harder than I ever would have ever pushed myself. True, there are times when I want to punch him, but we high-five as I complete my final exercise; three sets of dips – gripping parallel bars, lowering my body so my arms are at 90 degrees before pushing my body up again. I learn which of my muscles are benefitted by each machine and feel better prepared for my next visit to the gym. But my excitement at completing the circuit is tinged with embarrassment. I realize I’ve been a bit of a wuss until now. Ninety minutes later I’m acutely aware of the muscles I’ve worked. They’re aching, but I couldn’t be in a better place. Vida Spa claims to restore energy and promote well-being via a range of therapies, facials, wraps and exfoliations. The Breaking Bad Habits package includes an hour of the latter. As I’m rubbed down with course sea salt I can’t help thinking of an old soccer coach who used to recommend a meat pie and a pint as the best post-exercise routine. After a quick shower I’m back on the massage table for a full-body application of shea butter and a scalp massage. My body has almost forgotten this morning’s workout. I feel like a basted turkey. Blissed out, I’m reluctant to leave the table but I’m instructed to take another quick shower. I return for a classic massage. Face down and somewhere near nirvana, I realize my body almost does feel like a temple! Sean spots me and recommends that I take a cold shower after each session in the sauna and steam room. “Always finish cool,” he says. I decide to tell my wife about the cold showers. 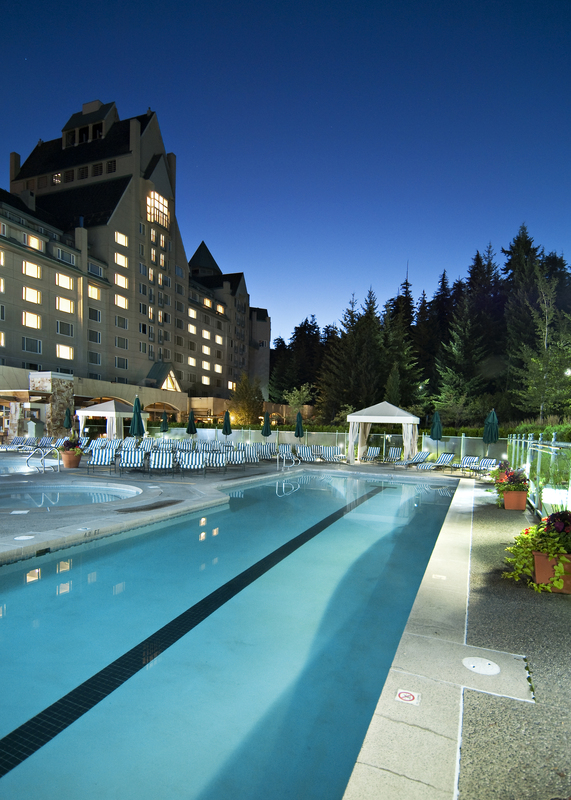 The Fairmont’s Breaking Bad Habits Whistler Getaway costs $569 per person and is available all year. It includes two nights’ accommodation, a Morning Energizer breakfast, a two-course Lifestyle Cuisine dinner, a 60-minute Detox Body Wrap at Vida Spa, Fairmont fit gear, and the choice of one of the following Fairmont Chateau Whistler Health Club activities: Aquafit, yoga, personal training session, resistance stretching or a one-hour personal running session per adult. 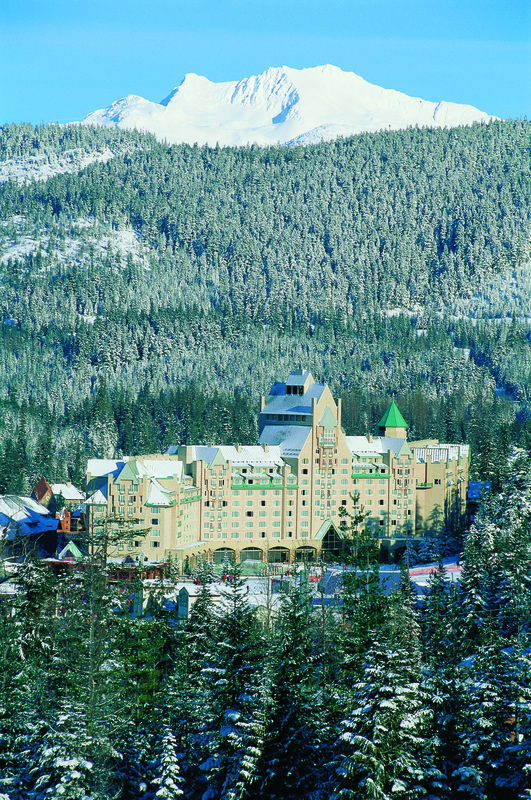 Visit www.fairmont.com/whistler/ and click on ‘special packages’ or call 1 800 606 8244 1 800 606 8244.